When it comes to the staple crops – wheat, rice, maize, soybean, barley and sorghum – research has found changes in rainfall and temperature explain about 30% of the yearly variation in agricultural yields. All six crops responded negatively to increasing temperatures – most likely associated with increases in crop development rates and water stress. In particular, wheat, maize and barley show a negative response to increased temperatures. But, overall, rainfall trends had only minor effects on crop yields in these studies. A warmer atmosphere can also hold more water – about 7% more water vapour for every 1°C increase in temperature. This ultimately results in storms with more intense rainfall. A review of rainfall patterns shows changes in the amount of rainfall everywhere. Feeding more people in these changing conditions is the challenge before us. It will require crops that are highly adapted to dry and hot environments. The so-called “Green Revolution” of the 1960s and 1970s created plants with short stature and enhanced responsiveness to nitrogen fertilizer. 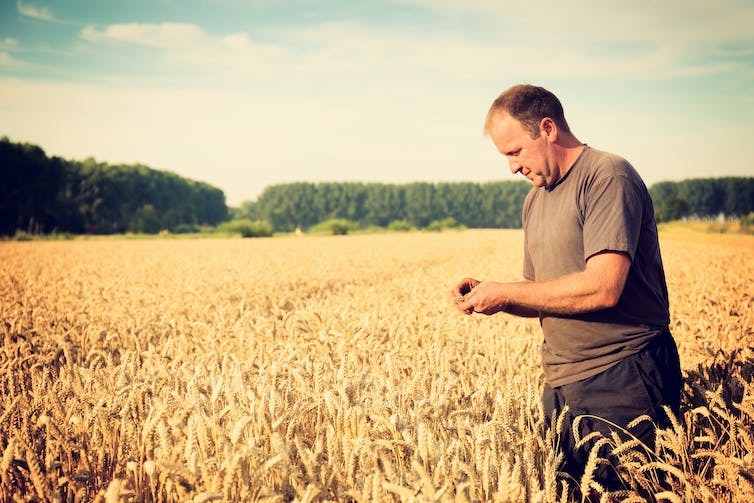 Resilient crops will require significant research and action on multiple fronts – to create adaptation to drought and waterlogging, and tolerance to cold, heat and salinity. Whatever we do, we also need to factor in that agriculture contributes significantly to greenhouse gas emissions (GHGs). Scientists are meeting this challenge by creating a framework for adapting to climate change. We are identifying favourable combinations of crop varieties (genotypes) and management practices (agronomy) to work together in a complex system. Genotypic solutions can bolster this approach. The challenge is to identify favourable combinations of genotypes (G) and management (M) practices in a variable environment (E). 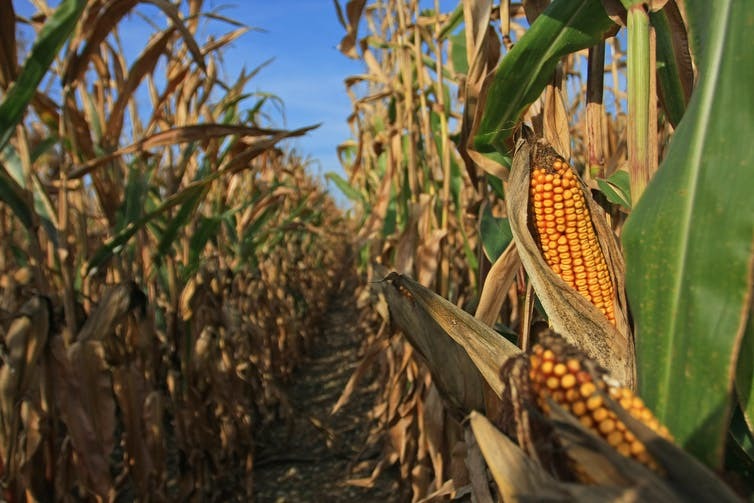 Understanding the interaction between genotypes, management and the environment (GxMxE) is critical to improving grain yield under hot and dry conditions. Genetic and management solutions can be used to develop climate-resilient crops for highly variable environments in Australia and globally. Sorghum is a great example. It is the dietary staple for over 500 million people in more than 30 countries, making it the world’s fifth-most-important crop for human consumption after rice, wheat, maize and potatoes. ‘Stay-green’ in sorghum is an example of a genetic solution to drought that has been deployed in Australia, India and sub-Saharan Africa. Crops with stay-green maintain greener stems and leaves during drought, resulting in increased stem strength, grain size and yield. This genetic solution can be combined with a management solution (e.g. reduced plant population) to optimise production and food security in highly variable and water-limited environments.